Back EMF (bucking), also known as counter-electromotive force, is an electromagnetic field that pushes in the opposite direction as the voltage applied to a transformer or motor. The effect is strongest when power is ramping up from a zero state to its normal operating current. With AC power, which is switching polarity about 60 times per second, back EMF is continually being generated. And most importantly, back EMF represents lost power. This phenomenon has been with us since the creation of modern electrical systems. 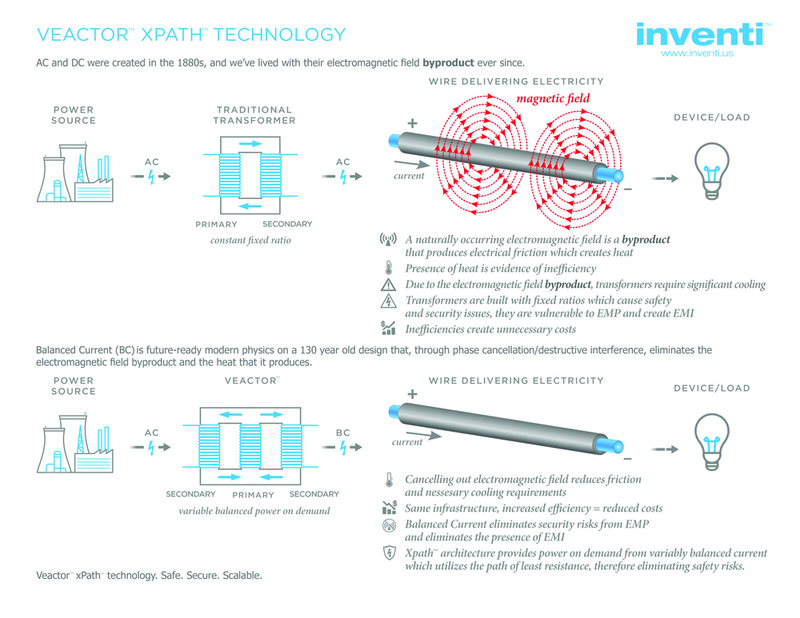 xPath Technology solves the back EMF issue by collapsing the electromagnetic field that normally builds up around a transmission wire. Instead of creating resistance, back EMF is redirected and recycled into the flow of the induced current. The result is that much less heat is generated by transformers and transmission lines, and less power is needed to accomplish the same amount of work.